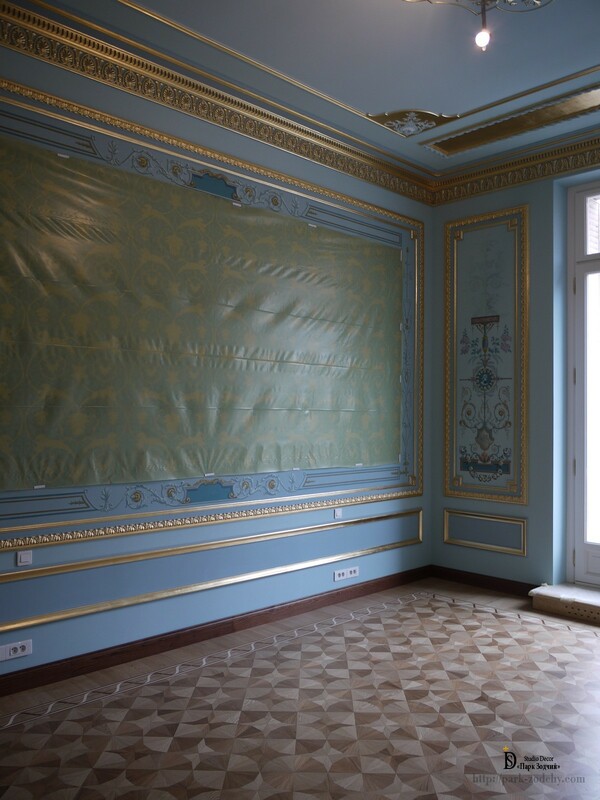 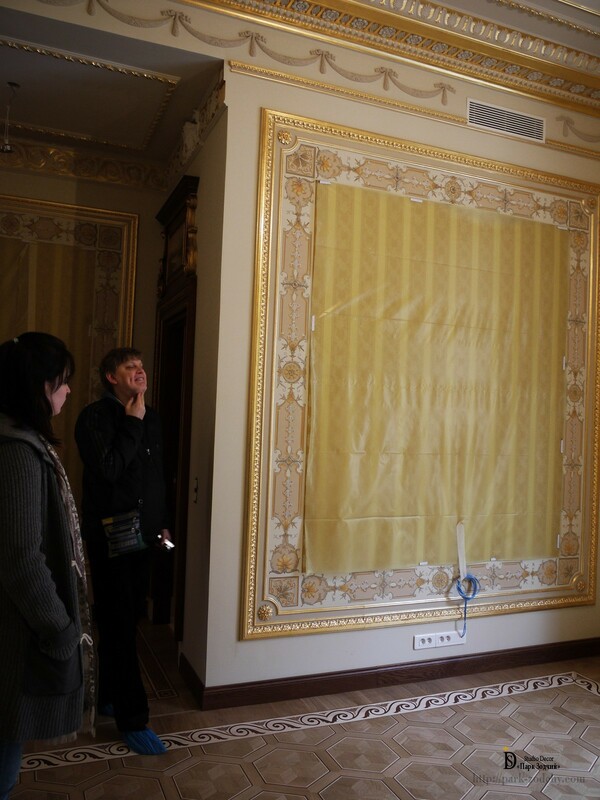 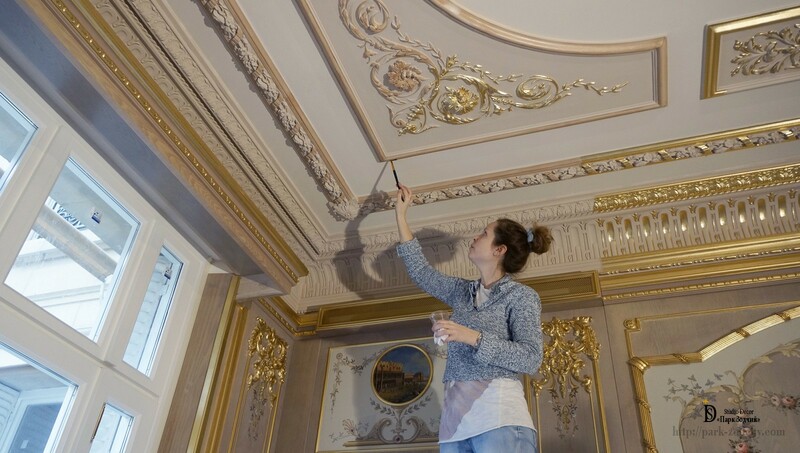 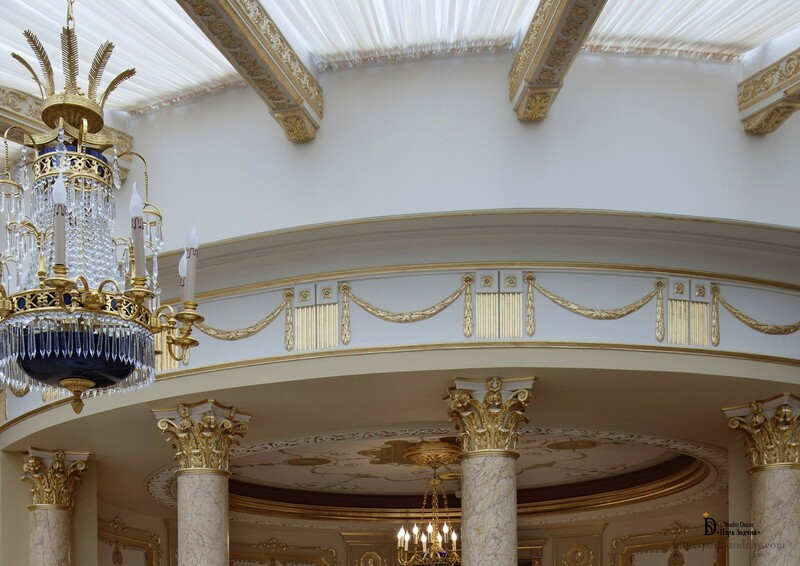 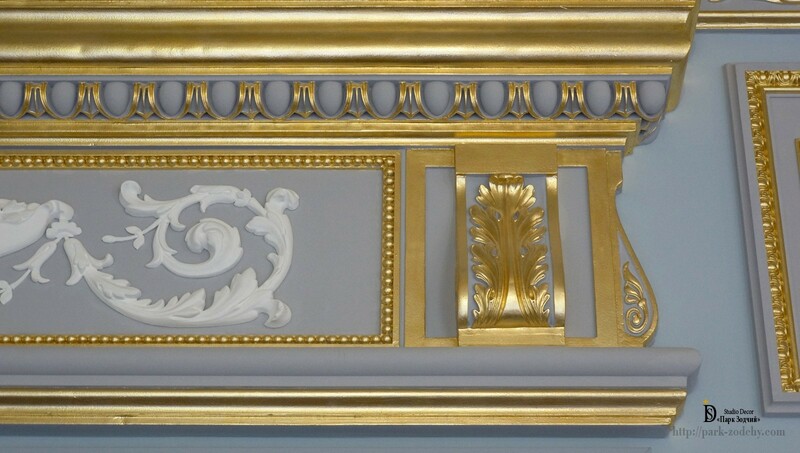 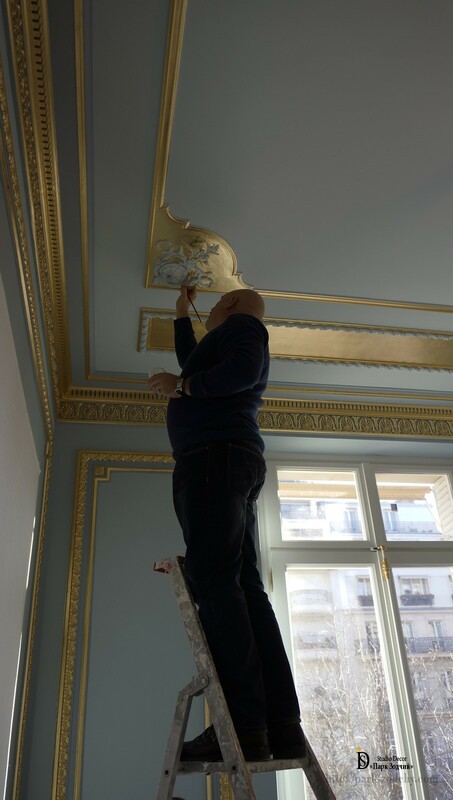 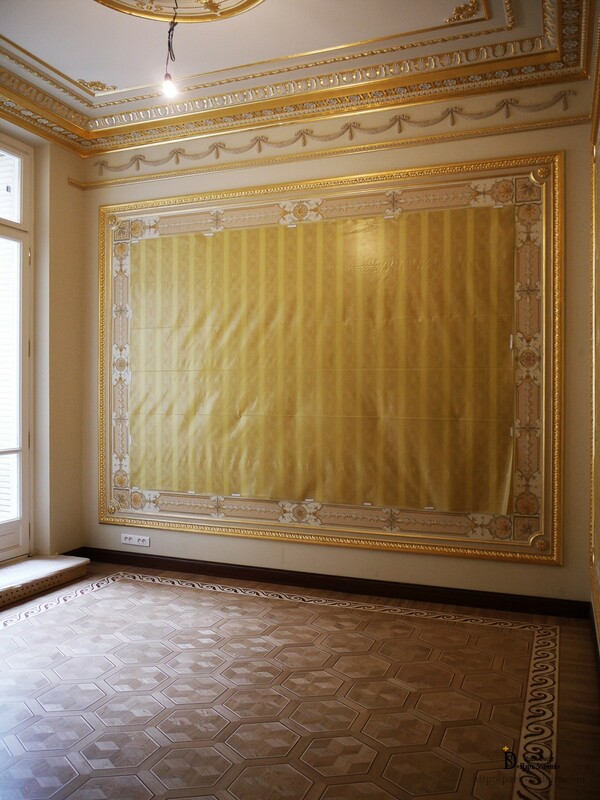 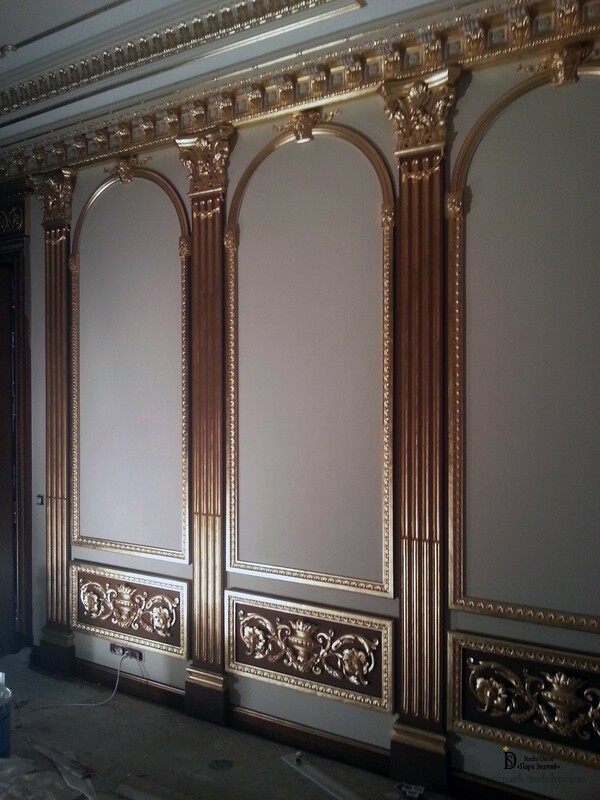 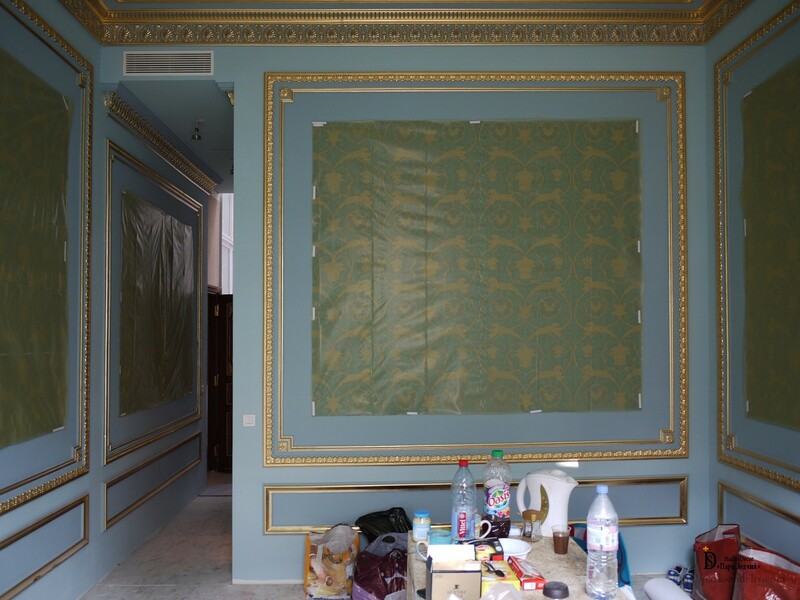 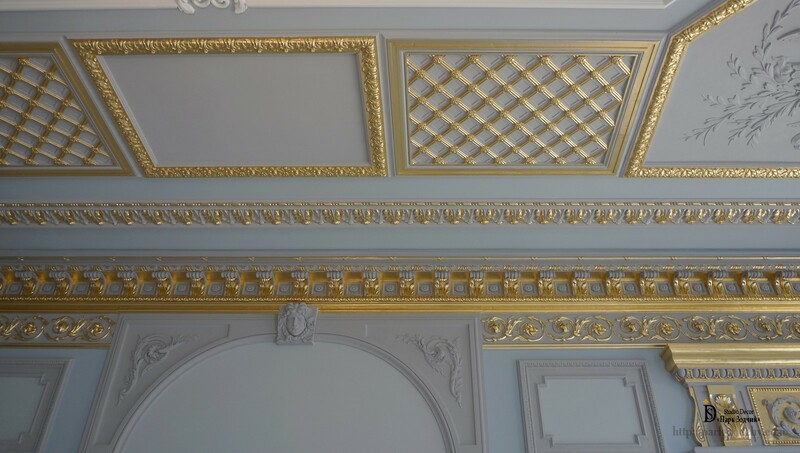 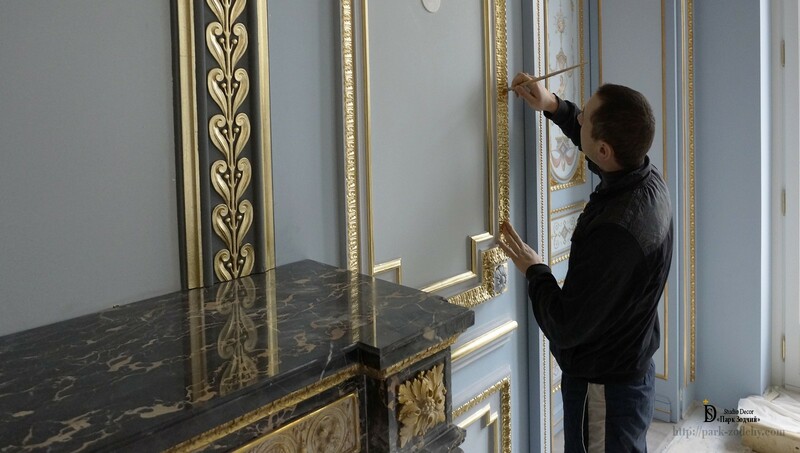 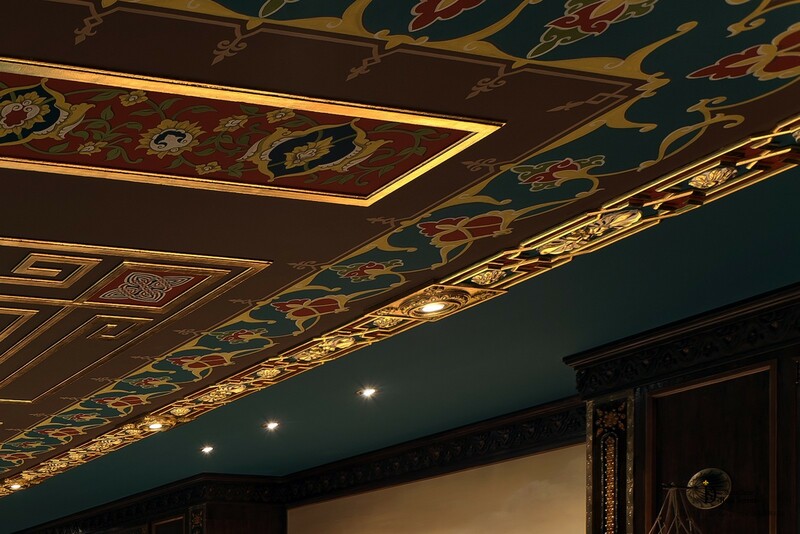 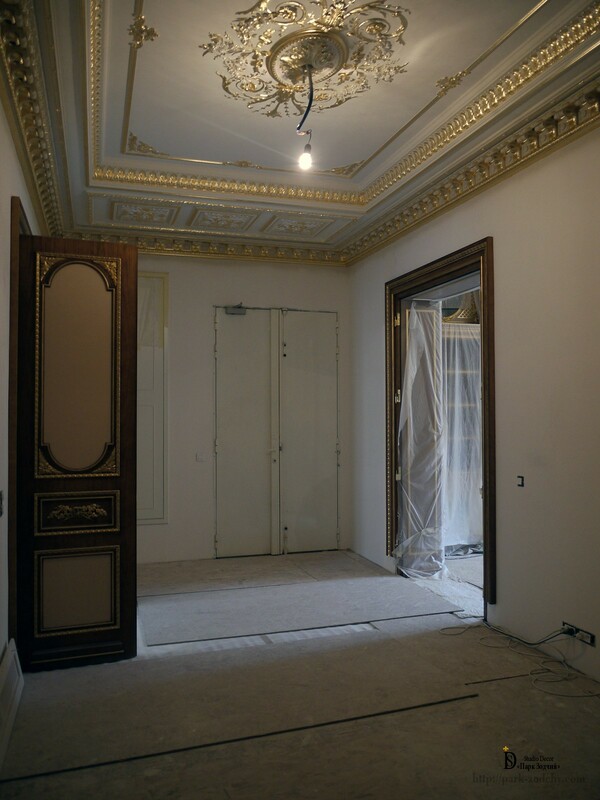 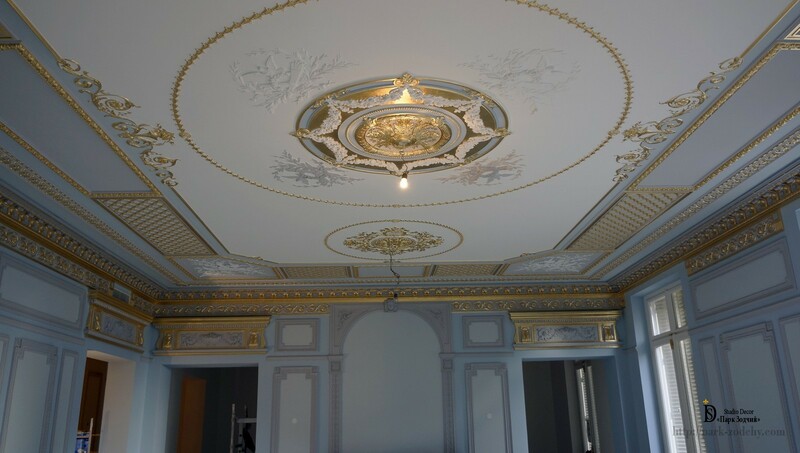 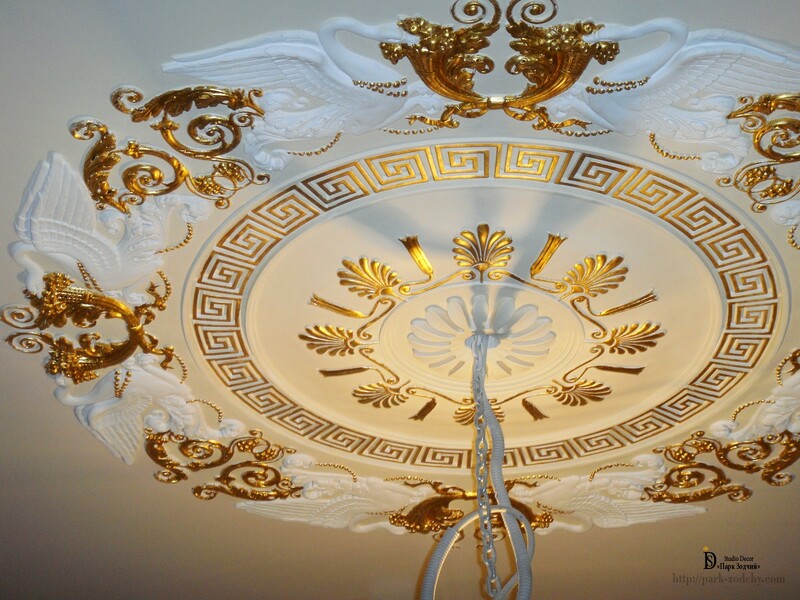 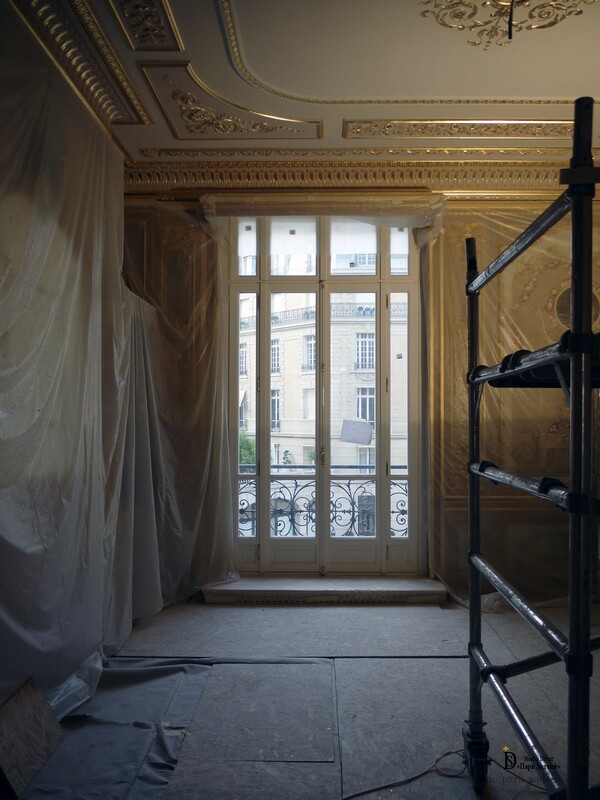 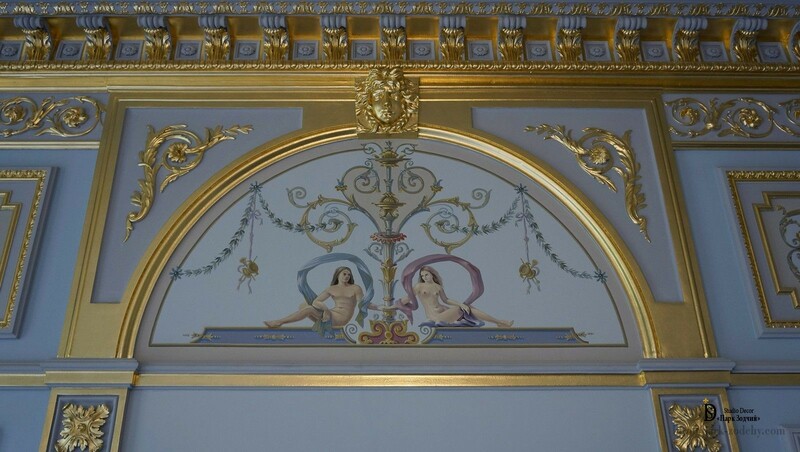 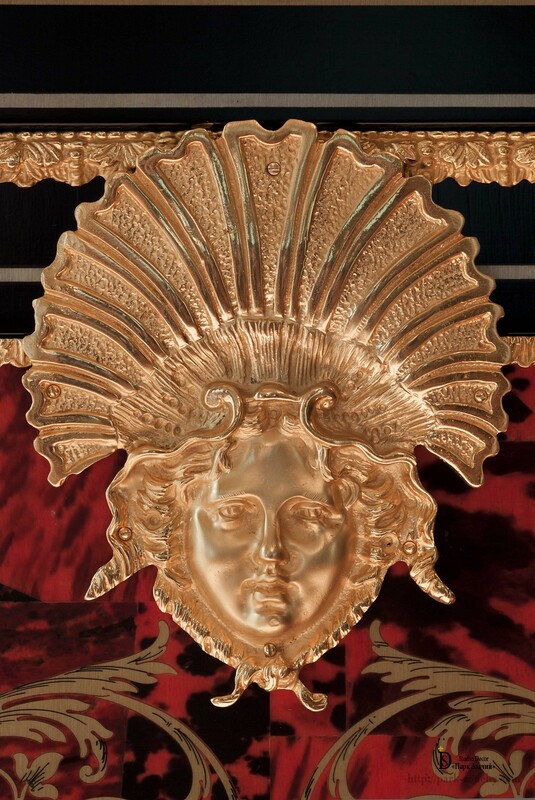 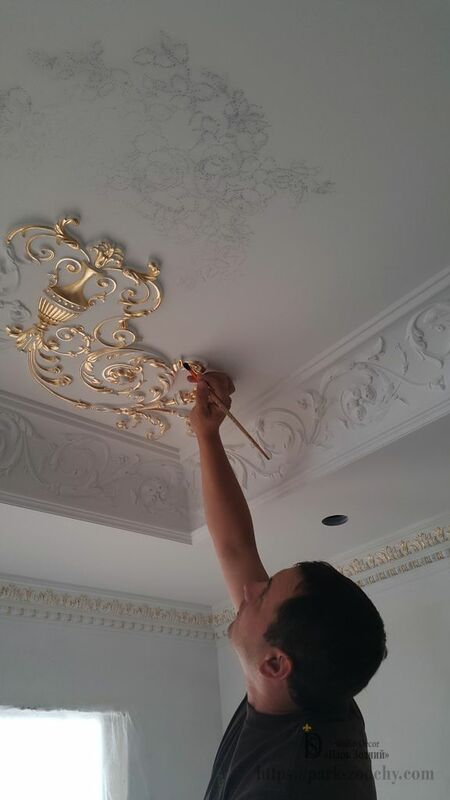 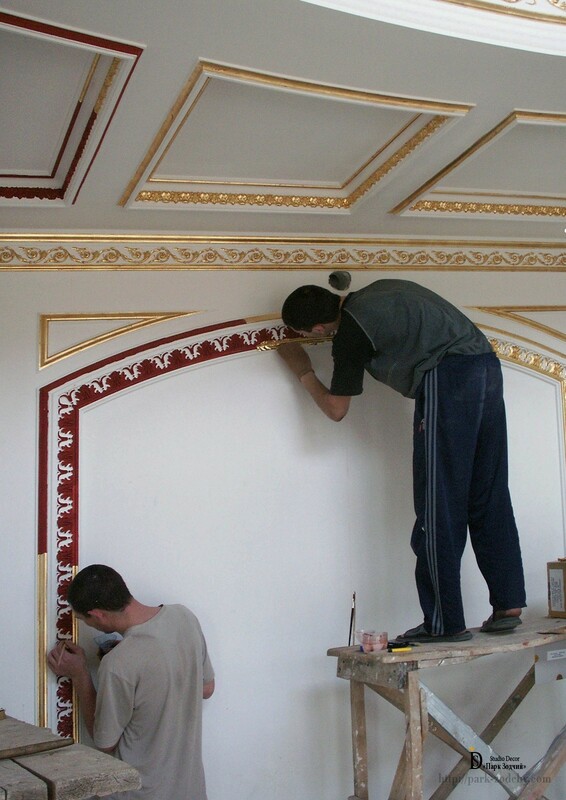 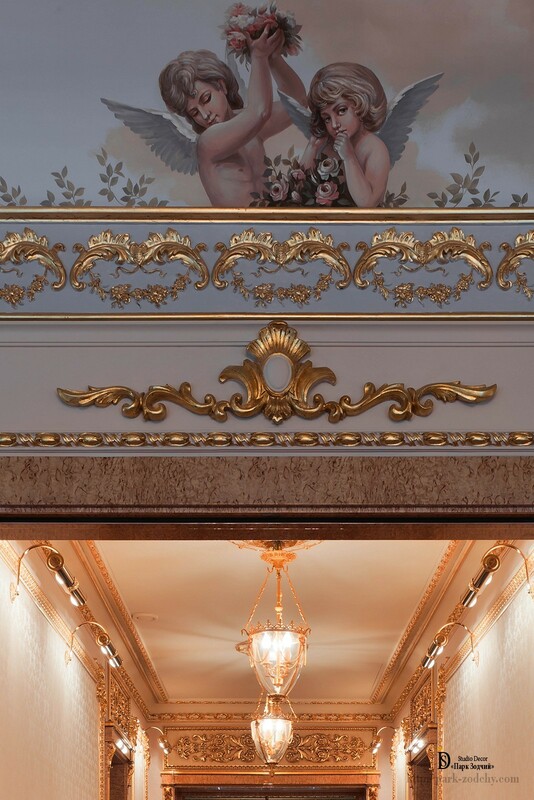 Luxury and magnificence, elegancy and grandeur, such an effect gives gilding of stucco moldings. 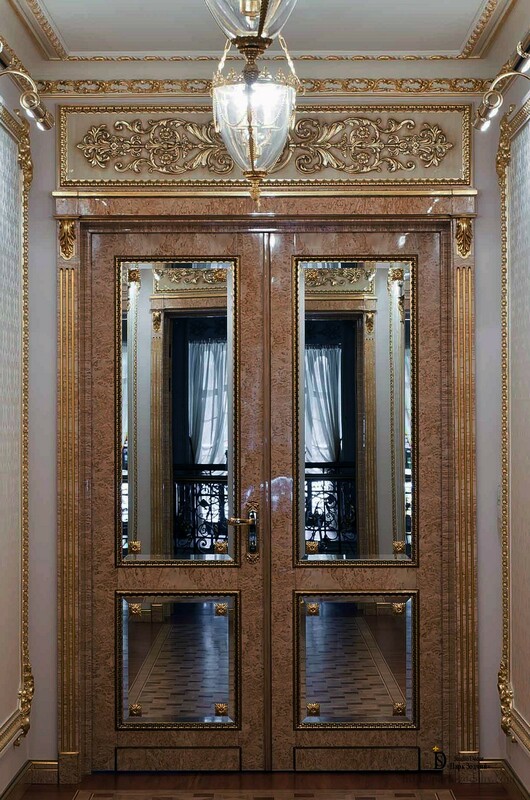 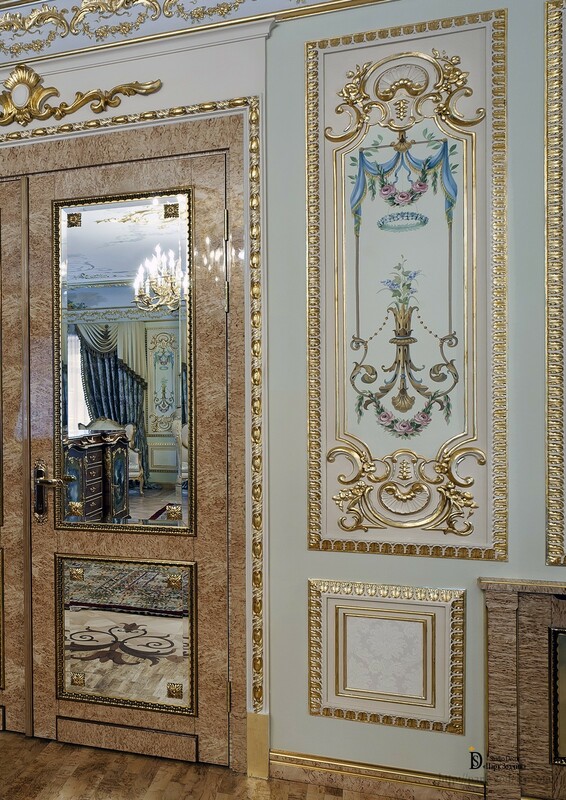 Masters of the company "Park Zodchy" apply various techniques of gilding and due to this create unique interiors with exquisite finishing. 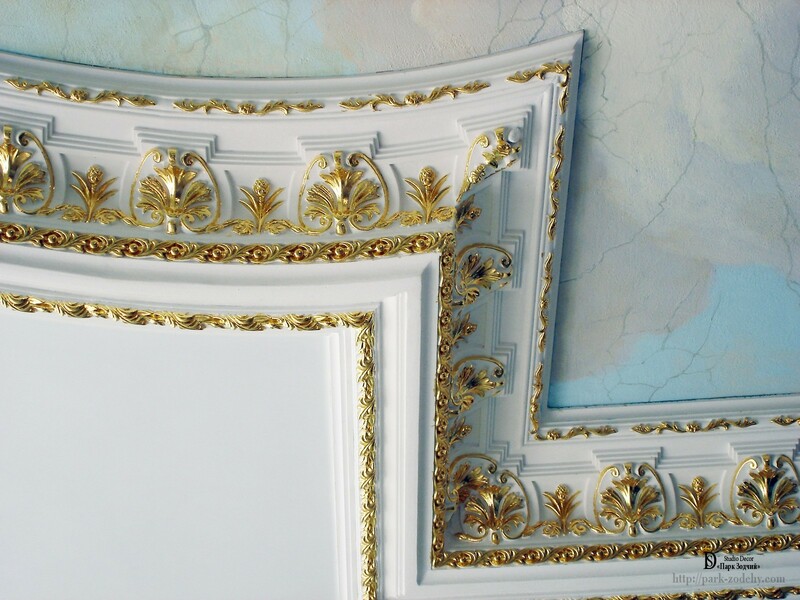 It is impossible to imagine the design of grand Classic style, the epoch of artistic and intellectual rise – the Renaissance, pretentious Baroque, elegant Rococo, massive Empire and plastic Eclecticism without gilding of the stucco moldings. 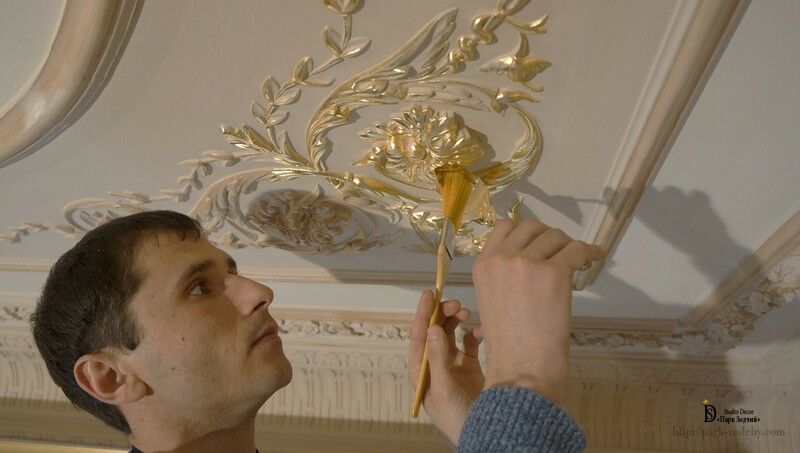 Having a perfect understanding of variety styles features, masters can recreate the historic interiors. 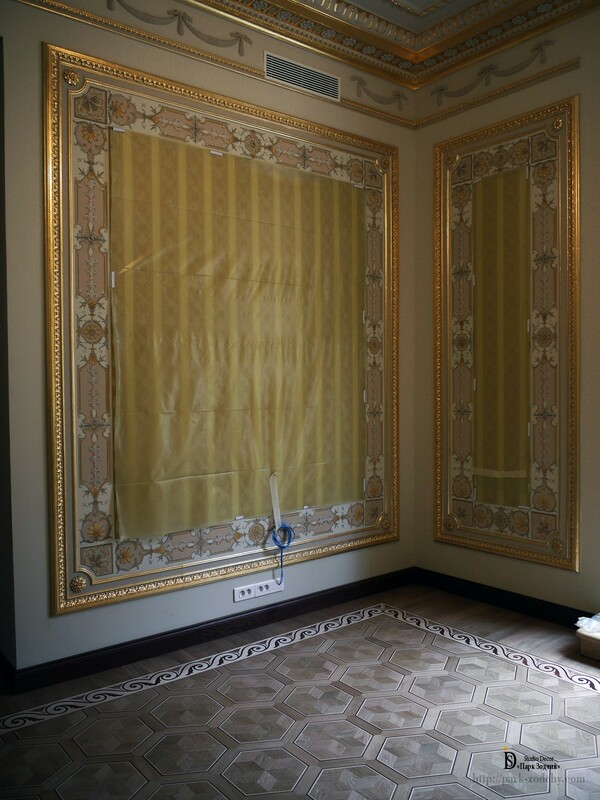 However, at the same time, a sense of proportion and artistic taste helps change even the small rooms. 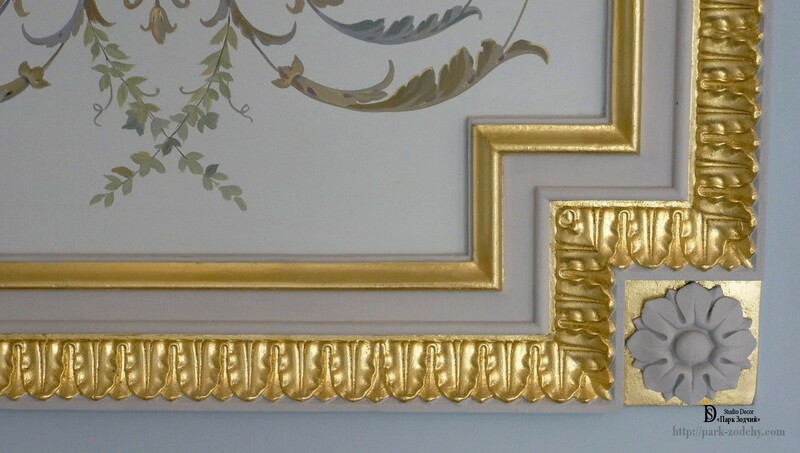 By fragmentary gilding is creating bright and festive elements as well as emphasizing of the winning combination. 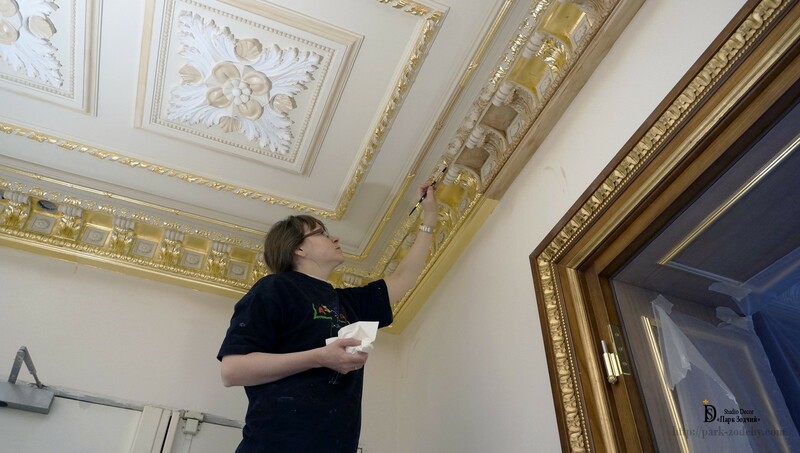 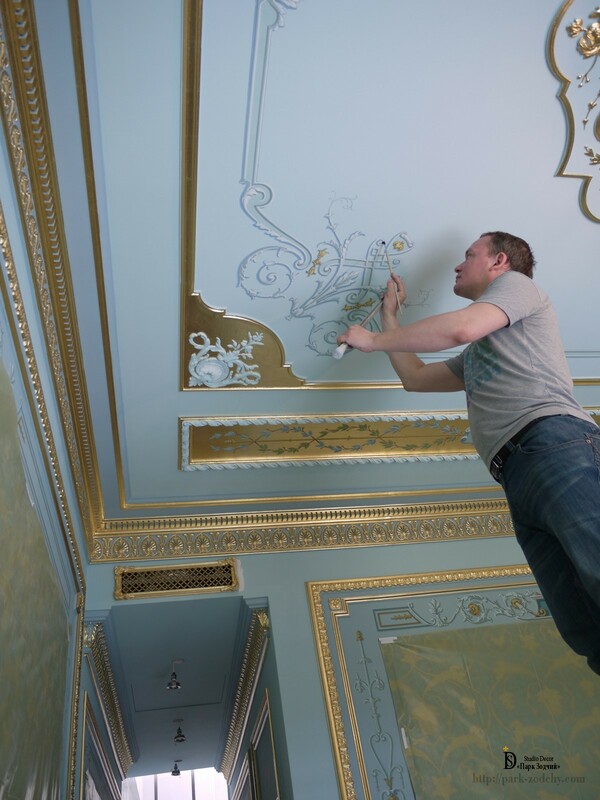 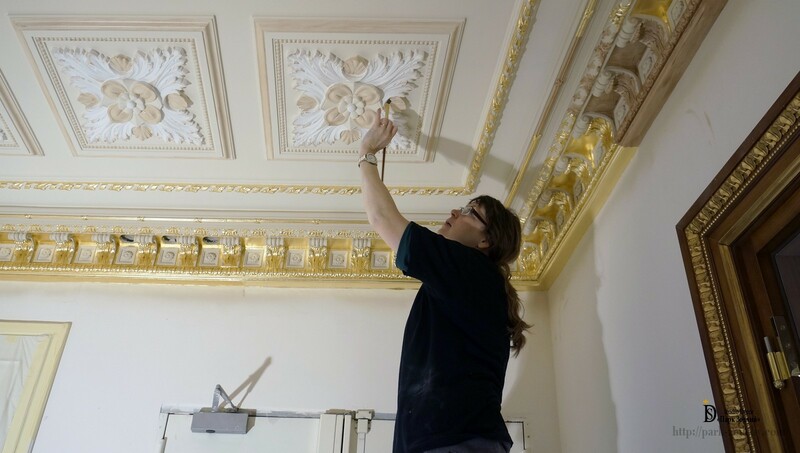 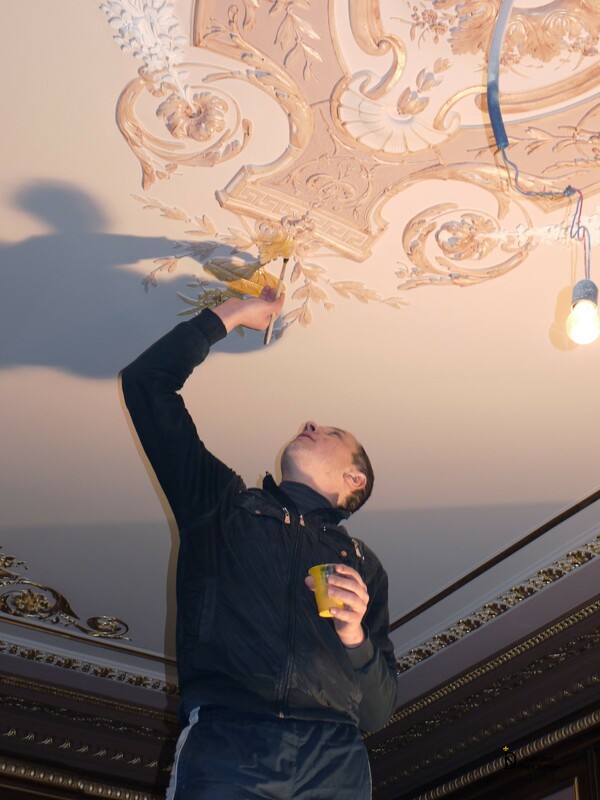 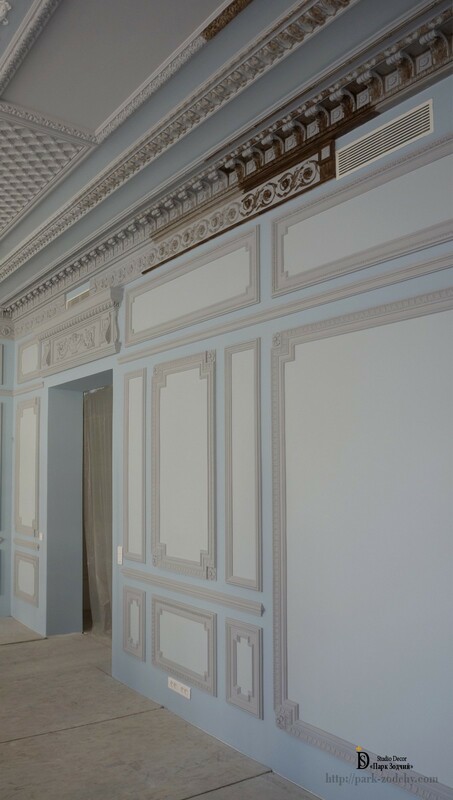 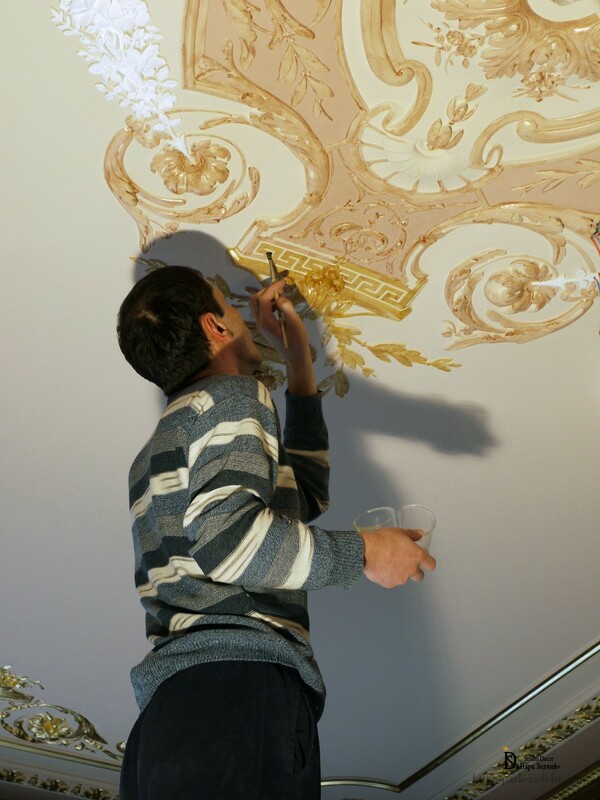 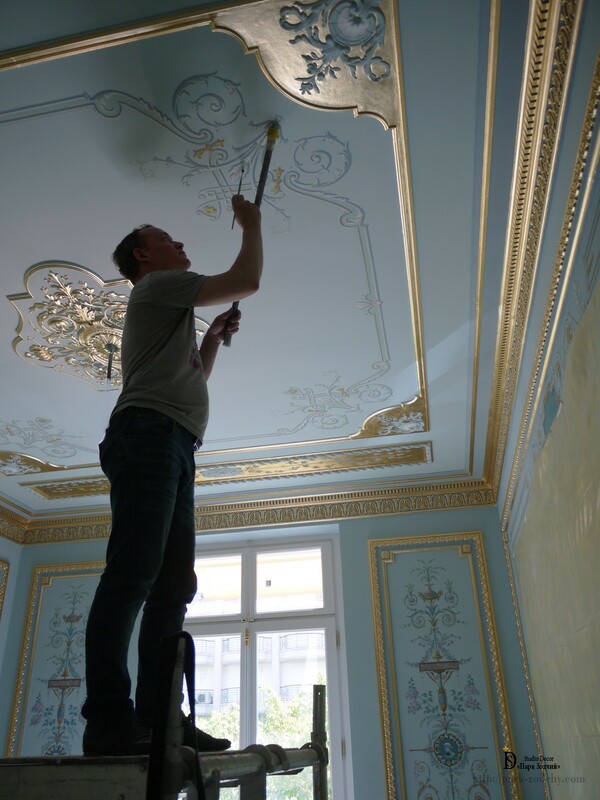 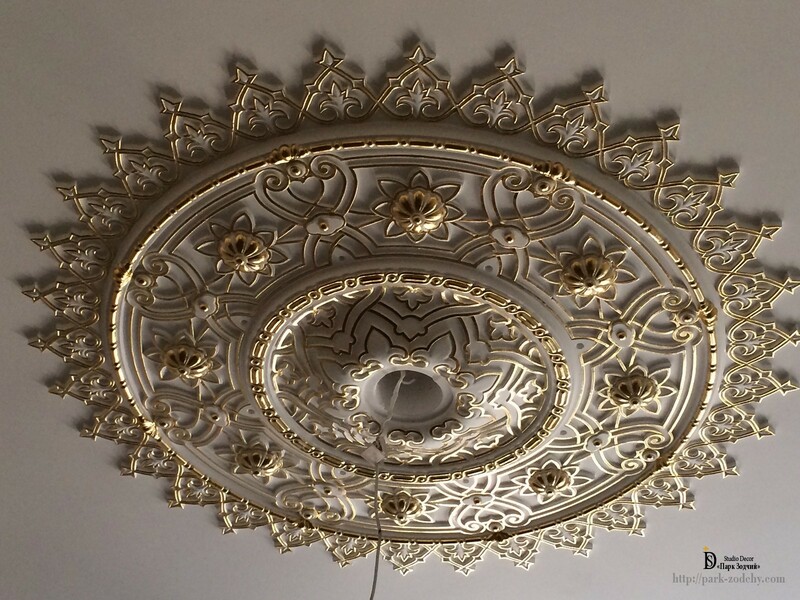 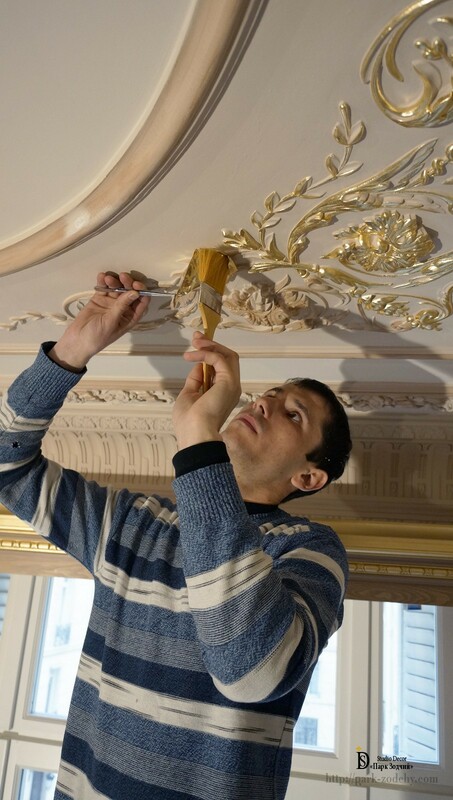 Gilders of the company Park Zodchij change unrecognizably the ordinary stucco molding and make from it a work of art.